This is one of my favorite watches. I love the depth, utility, color, and general look of the face of this watch. The comfort of the band, because of the smaller links that can be removed and that move independently. Definitely recommend! This beautiful ladies watch from August Steiner has a simple yet elegant look. The watch features luminous hands and markers with subdials displaying the day, date, and GMT. 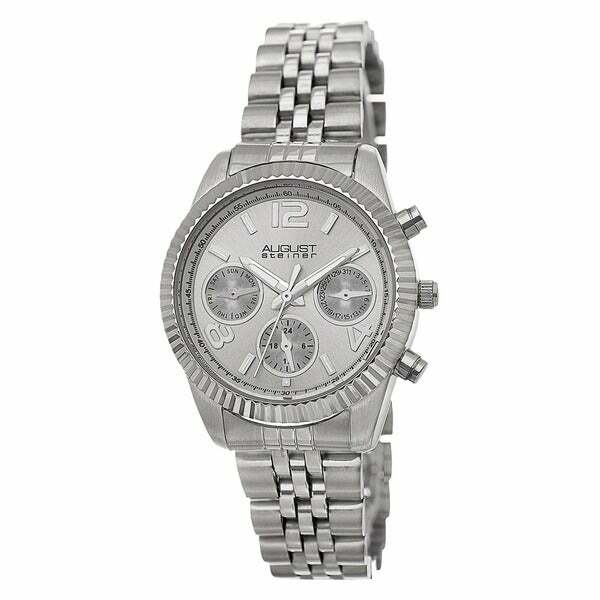 A stainless steel bracelet makes this timepiece a great addition for any women. This watch is pleasing to the eye with its rugged look and yet still looking feminine because of the soft stainless steel color and shine, Polished off with an array of crystals that shimmer like diamonds.